What makes a shared landscape a public space? 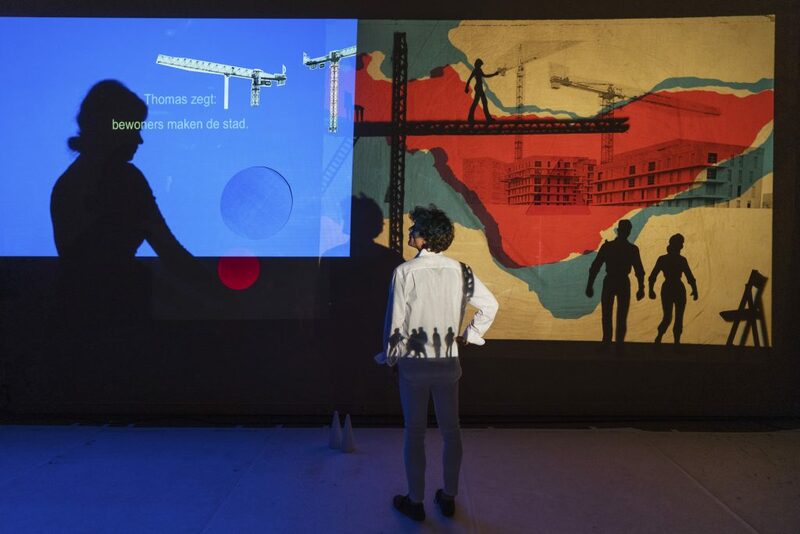 The audiovisual show circles around this question with photos, video footage, maquettes, maps and voice recordings of residents and urban planners. “(Dis)placed interventions” visits the spaces we as residents and users of the city share with each other and colours them with wonder, insight and confusion. The collected material comes from various city neighbourhoods where Elly has worked over the past years on the subject of imagination in urban development and the co-creation of the public space. At the premiere in Ghent she also presents the book she created in conclusion of her six-year artistic research project.